I have been following Janie since she first released her book – The Fashion File – back in 2010. 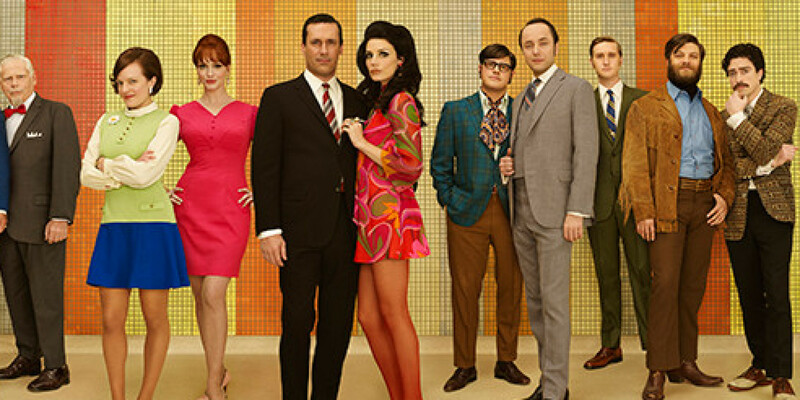 I must have read it eighty-nine times —- immersing myself in her behind the scenes peek into the dressing rooms of Mad Men. Not only does she delve into the design process behind the various characters’ looks – but she also gives good advise on how to develop your own leading lady style. The girl knows what she is talking about. Get your very own copy today on Amazon.com. Just before Janie and her pups – three fabulous Standard Poodles – and her friend – Celebrity Tastemaker Dawn McCoy – settled in for a few days of unwinding by the pool at Bon Vivant Palms – she invited me and our Master Clicker- Nathan Cox – over for a chat, point and shoot session. We shared some white zinfandel from Fallbrook Winery in San Diego. Had a nibble of cake that was sent over by Roman at Over The Rainbow Desserts, and chatted like old pals. Both ladies were absolutely stunning. The dogs were anything but Standard. And I was like a teenage girl at a Beatles concert. At least I didn’t scream or throw my knickers. Despite being completely star struck – I kept my cool and we all enjoyed our time together at Bon Vivant Palms. We laughed. We ogled over the beautiful house, and physically moved around the property trying out all the different places to relax. We talked about how Palm Springs is an elixir that is calming and invigorating at the same time. And we also discussed how to dress for Palm Springs – all agreeing that the best wardrobe pieces take you from poolside to cocktails out – without a whole lot of fuss. We also chatted about what the two ladies had planned for their long weekend in Palm Springs. They looked around – both shrugged their shoulders and simultaneously responded “this is it!” Just two girlfriends hanging poolside with the pups, soaking up some rays and enjoying the space. They did hint at the idea of possibly having some friends over for brunch toward the end of the weekend – but decided just to see how it goes as the weekend unfolded. 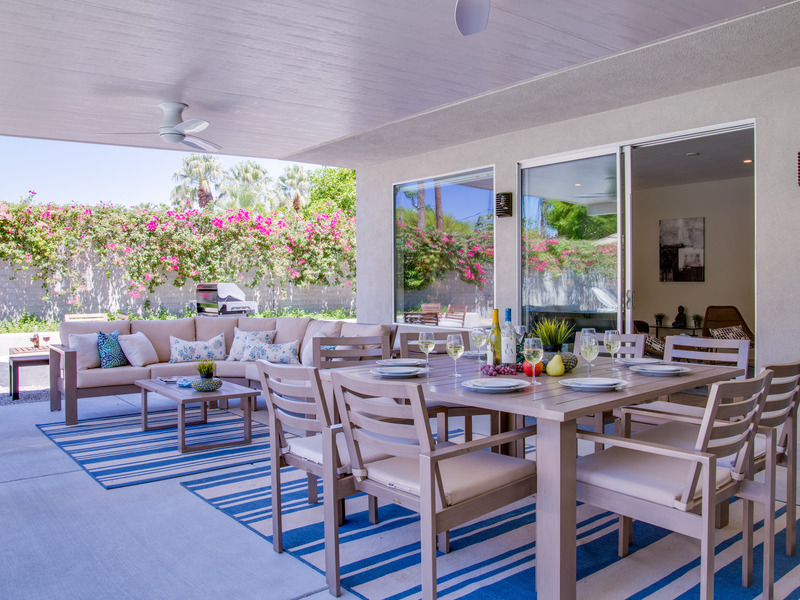 Janie Bryant and Dawn McCoy are among the many celebrity tastemakers who have discovered Bon Vivant Palms – one of the Palm Springs Vacation Home Rentals managed by Acme House Company. 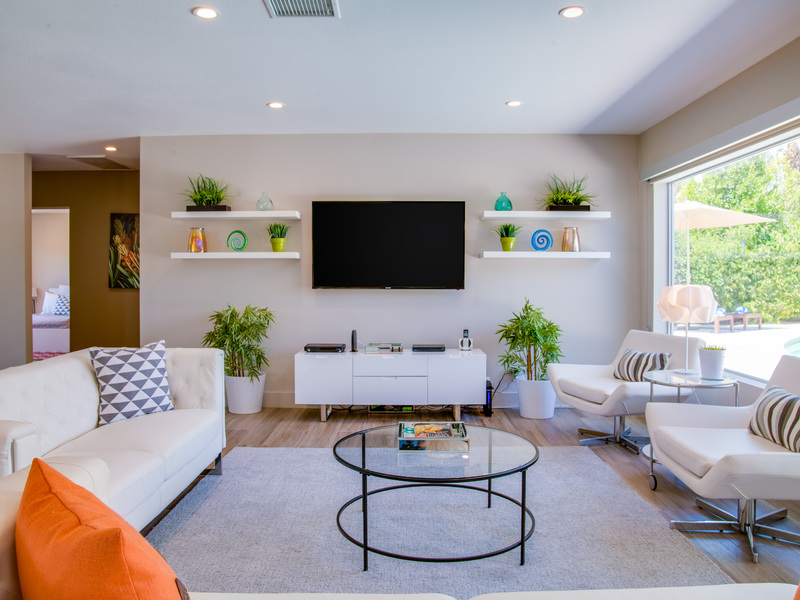 This midcentury home (circa 1956) has been completely remodeled – and sits on a gorgeous oversized lot in the Movie Colony East – an easy stroll to the world-famous Palm Canyon Drive and very close to Ruth Hardy Park. 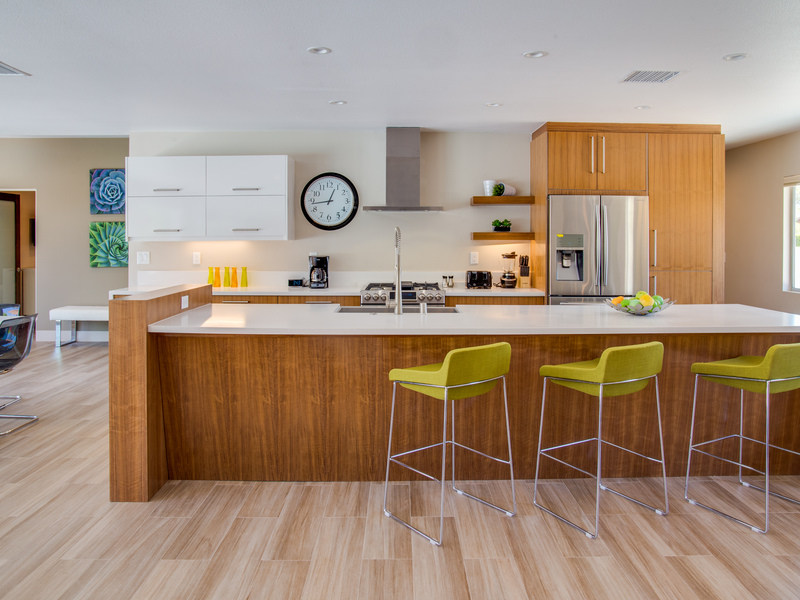 Bon Vivant Palms offers a huge, spacious open concept floor plan that really allows guests to spread out and relax. All along the back of the house are walls of glass that reveal the resort-style pool yard. 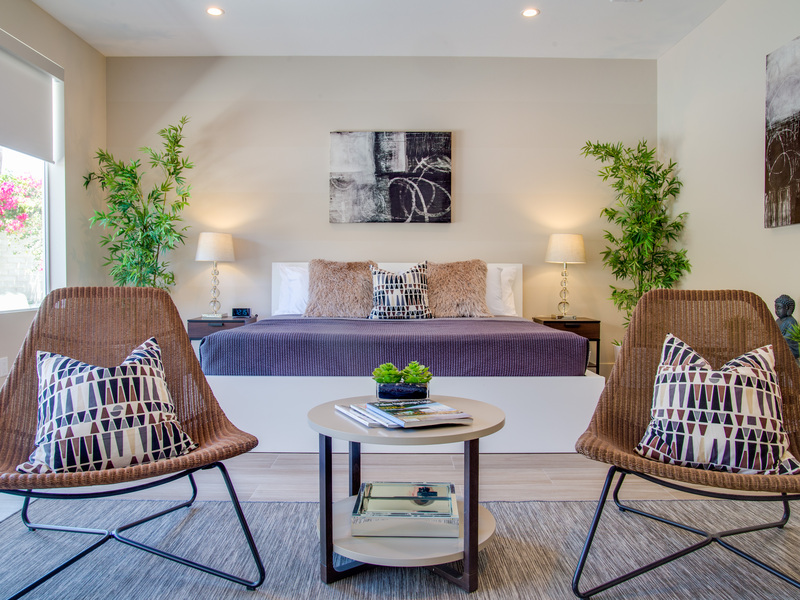 Bon Vivant Palms has 4 deluxe master suites – all with the look and feel of an upscale boutique hotel – including their own private baths, flat screen television, ample storage and hospitality-quality mattress. 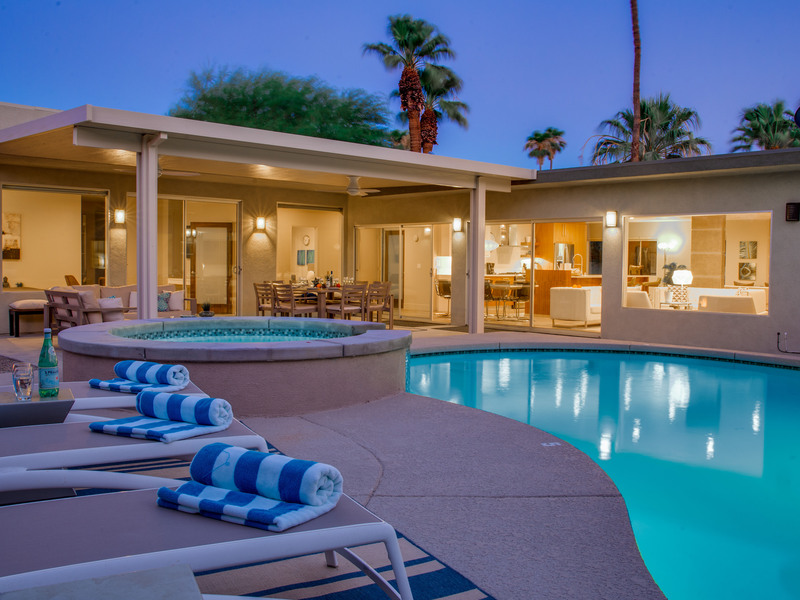 Bon Vivant Palms is one of more than 100 luxury vacation rentals managed by Acme House Company in and around the Greater Palm Springs area. The property as a vacation rental – available by the week, month and season. For more photos, rates and rental information click here. Modern Mary is a traveling gadabout who adores everything Palm Springs – from the architecture and design to the art, fashion and lifestyle. A social butterfly in the most modern sense – Mary enjoys swanky cocktail parties, gallery openings, music festivals, shopping and anything pink or yellow. She is a frequent contributor to the Acme Blog – keeping our readers up to speed on who is staying at our fab fab vacation rental homes and what’s going on in Greater Palm Springs and the surrounding desert cities of the Coachella Valley. Modern Mary loves big floppy hats, Jackie O sunglasses and prefers sensible shoes over back-breaking high heels. Palm Springs is just about two hours away from San Diego and Los Angeles. Daily flights are available to the Palm Springs International Airport from major U.S. cities. You’ll find the sun shining some 350 days per year, world-class golf courses, amazing hiking trails, fabulous restaurants and an entire city that is dedicated to celebrating midcentury modern design and architecture. Read the Condé Nast Traveler article that included Acme House Company on their list of Top 10 Vacation Rental Managers to Trust Worldwide. Palm Springs Life Magazine’s Reader Survey named Acme House Company the Best of the Best in Vacation Home Rentals. 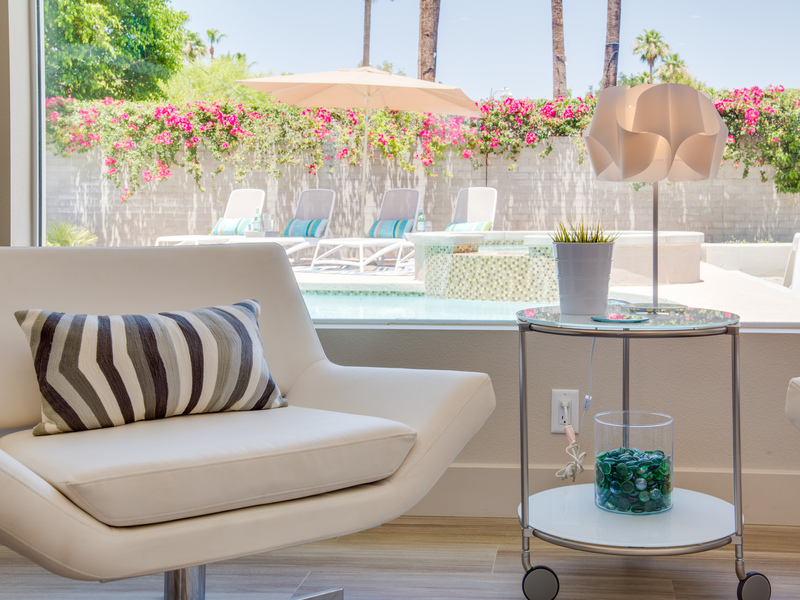 We manage our Palm Springs Vacation Home Rentals like 5-Star Resorts. Just like home —- but way better. some together time. 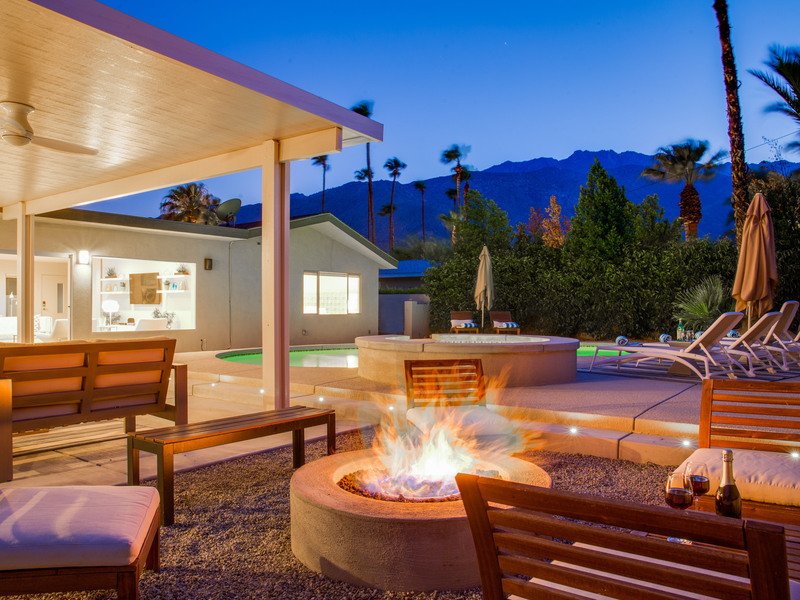 Visit Acme’s Website to explore more Palm Springs Vacation Rental Homes.